Today everything went wrong! I woke up at 8.00 Am, 2 hours later than usual, girls woken up 8.30. 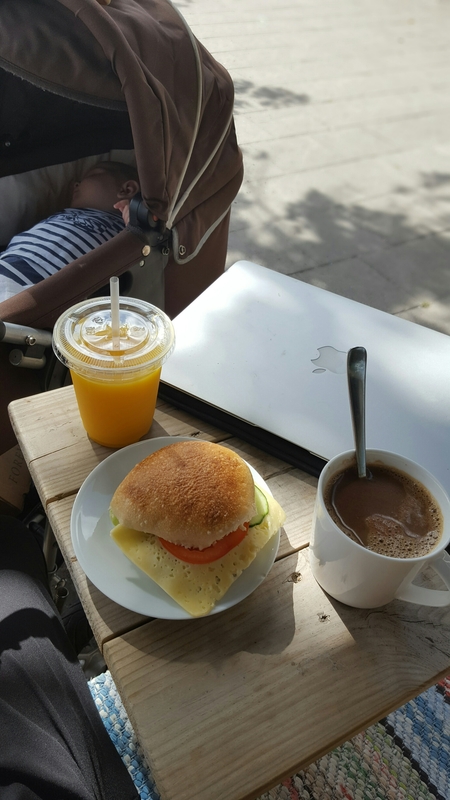 While I was preparing their breakfast, breastfeeding a baby and trying to make my smoothie on the go … I just forgot that I have a Parent Meetup in the city. Well, I decided to go out, to cancel all my meetings and just to relax my outdoor breakfast and call my cousin for a playdate. Does your job allow you that? It turned out, that I can’t just let everything go and soon as I sat down, I grabbed my laptop and started working … yes, this is what happens when YOU LOVE WHAT YOU DO! I had about 15 minutes to book some meetings and my cousin came. In between, I also talked to my coach and met a new potential customer in playing park. This is how we work and it’s all about building relationships. After I picked up my 3-year-old Lisa from preschool at 14.o0, we played all afternoon and when daddy came from a business trip, I went back to my office, to finish my work. P.S. This post supposed to be uploaded in the morning but then so many things happened in between, so I’m finishing my work by posting this morning update in the midnight. I really love my job and I love how spontaneous thing happens when you are enjoying life.